We are a group of young people who love making new stuff. No matter what are the things we make, we enjoy the process and we'd love to share our efforts with you. We are passionate about designing creative gadgets which enable users to participate in the process of making. That's why we come up with all the open source and DIY kit stuff. We want people to get the products and share their ideas with us. 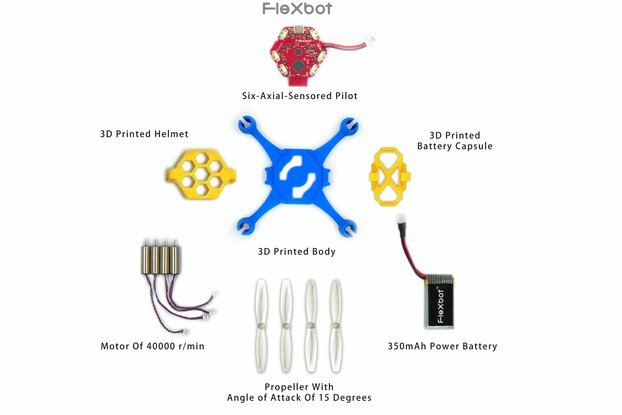 Flexbot is our very first product. We started in 2013 when we had a idea to make something fun out of 3D printing. Hack the electronics, 3D printing a new shell, recode the software, whichever way you will have fun, I hope you enjoy Flexbot. Playing is fun, playing is learning, playing is also creating. Together I hope we can shape the world of fun electronics and make a better future.